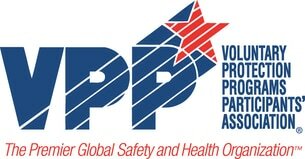 Tri-Star Glove will be an exhibitor at the VPPPA Expo in Lake Geneva, Wisconsin. The Expo is May 16, 17, and 18, 2017. Team Tri-Star will be next to the food station towards the back of the room in booth 405. Tri-Star Glove will have samples of cut resistant gloves, welding garments, high-visibility safety vests, and much more. Our experienced team will be on-hand to answer your safety questions and help choose the right PPE for your industrial workers. Tri-Star Glove is located in southwest Indiana. We enjoy a dedicated and talented workforce of people that come together from various lifestyles to see to it that we provide you the finest quality products for your dollar.